WesTech offers complete laboratory testing facilities to assist in your project planning. 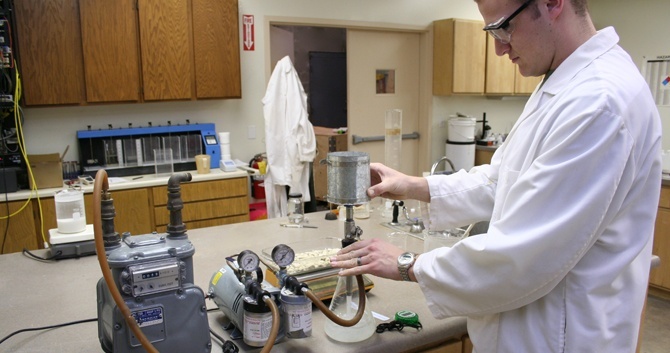 WesTech's laboratory technicians are specialists in filtration, sedimentation, and flotation. Careful testing and analysis of your sample can provide the answers to your most difficult process problems, helping to establish design parameters and size equipment based upon bench scale testing results. WesTech bench scale units are also available for rental or purchase for use at your testing facility. Comprehensive reports are sent to the customer and the information is then used to discuss the most effective water treatment options with WesTech process experts. Read our blog post to learn more about our in-house lab team.